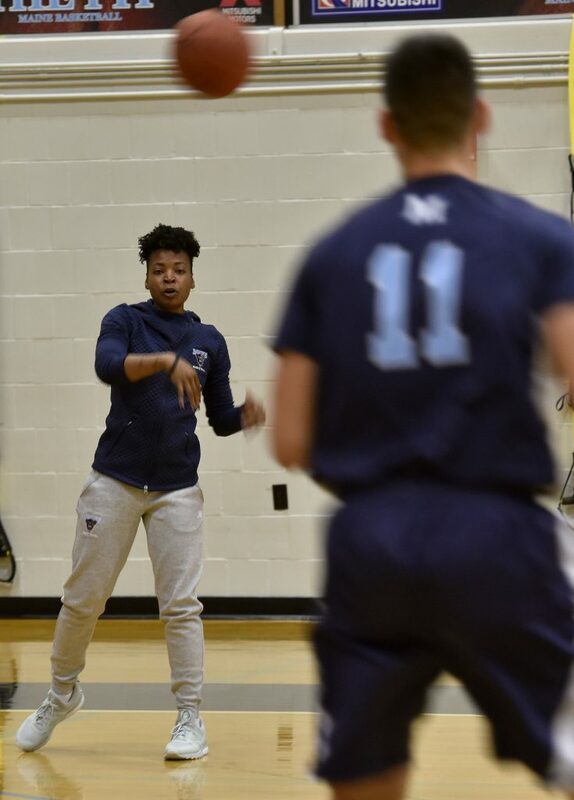 Edniesha Curry works with players at a recent University of Maine men's basketball practice.  Curry is the only female assistant coach for an NCAA Division I men's basketball team. 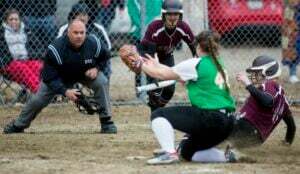 Edniesha Curry didn't think she would become a coach as her playing career wound down. 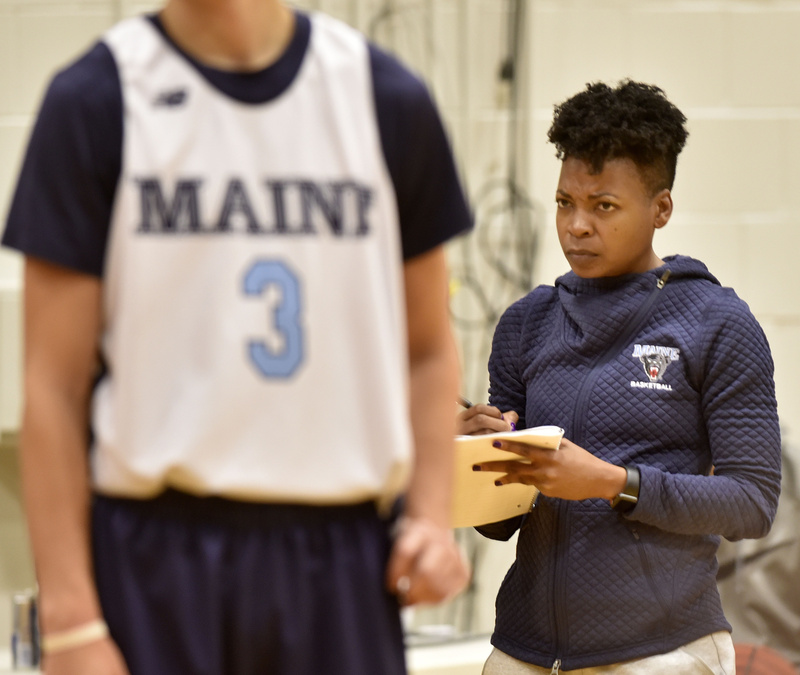 She is a coach and this fall is the only female assistant coach for an NCAA Division I men's basketball team, working with head coach Richard Barron at the University of Maine. 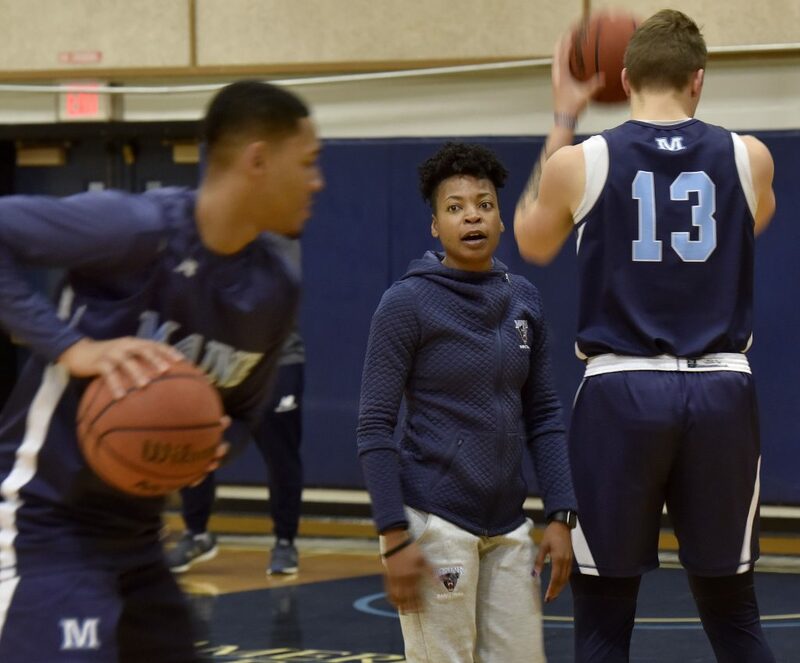 Endiesha Curry, right, has experience coaching on professional teams overseas, as well as coaching male players while preparing for a chance to work in the NBA. 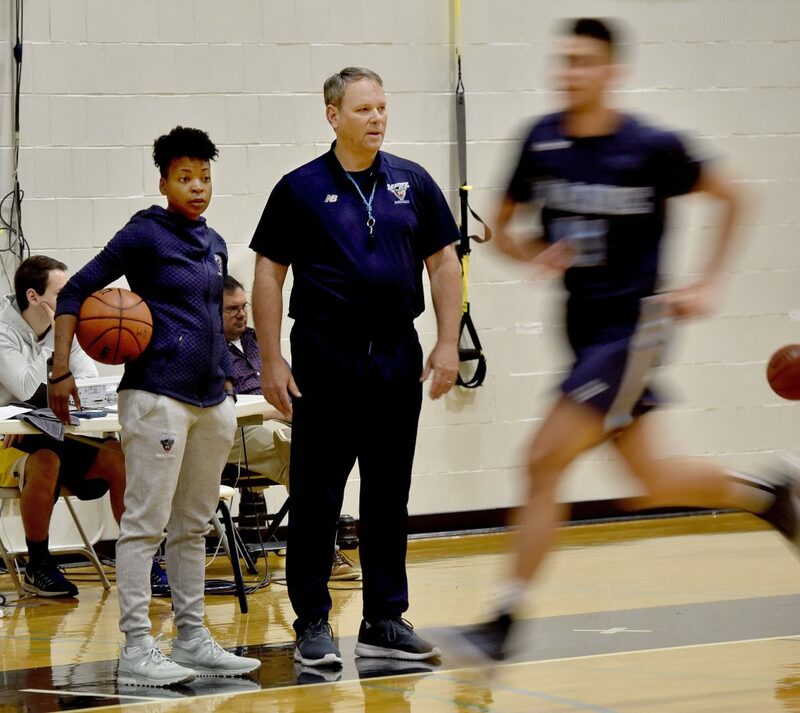 This season she is the only female assistant coach on an NCAA Division I men's team, coaching under UMaine head coach Richard Barron, left. 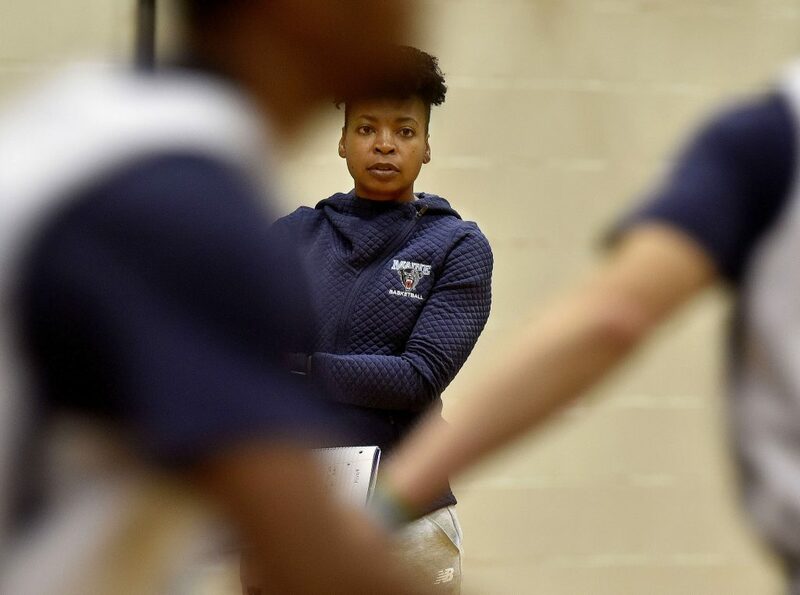 Ediesha Curry watches a recent University of Maine men's basketball practice. 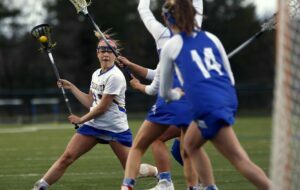 Curry is the only female assistant coach for an NCAA Division I men's basketball team. Assistant coach Edniesha Curry and head coach Richard Barron huddle with the University of Maine men's basketball team after a recent practice. Curry is the only female assistant coach for an NCAA Division I men's basketball team. Edniesha Curry played in the WNBA and overseas before beginning her coaching career. 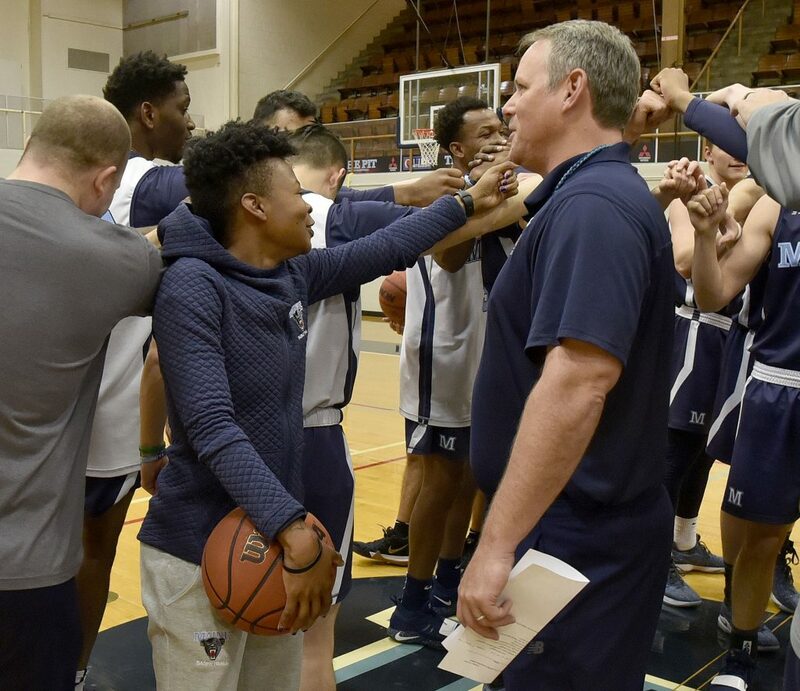 This season, Curry is the only female assistant coach for an NCAA Division I men's basketball team. 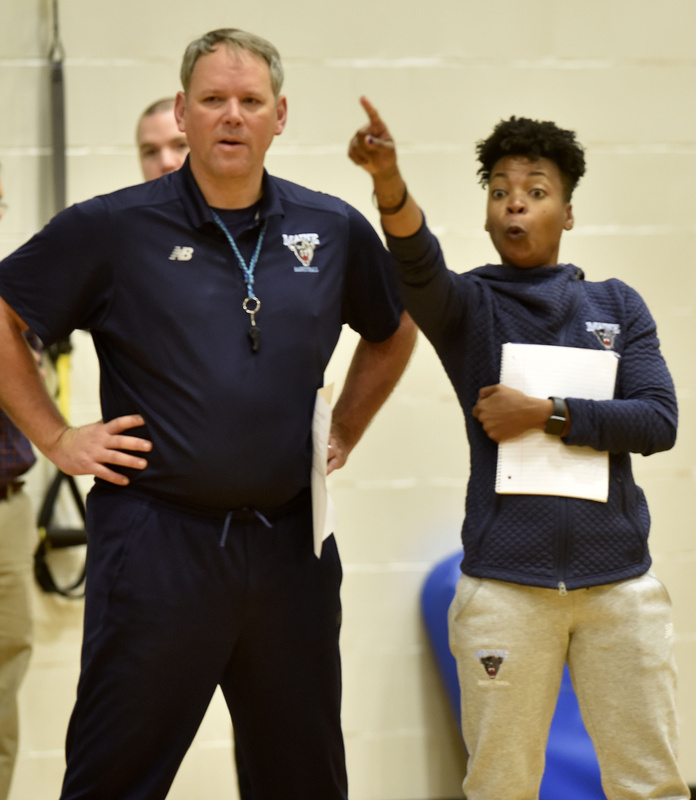 Head coach Richard Barron, right, worked with Edniesha Curry for two seasons when Barron was the UMaine women's basketball coach and Curry was one of his assistants. 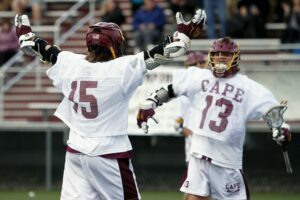 When Barron was hired as the men's coach in March, he hired Curry to his staff. 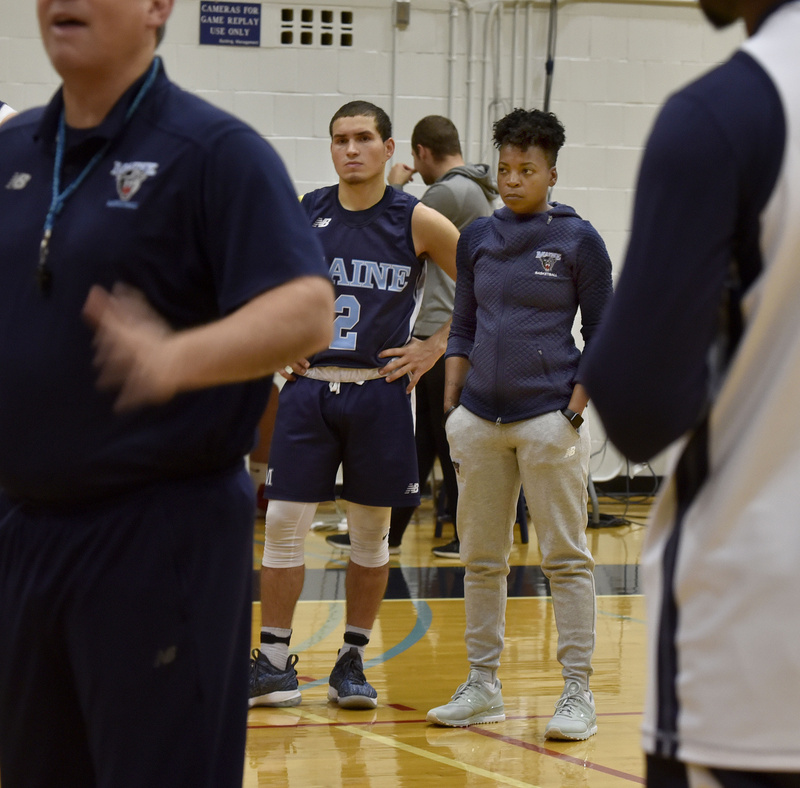 Edniesha Curry, right, and senior guard Celio Araujo, 2, look on during a recent University of Maine men's basketball practice. 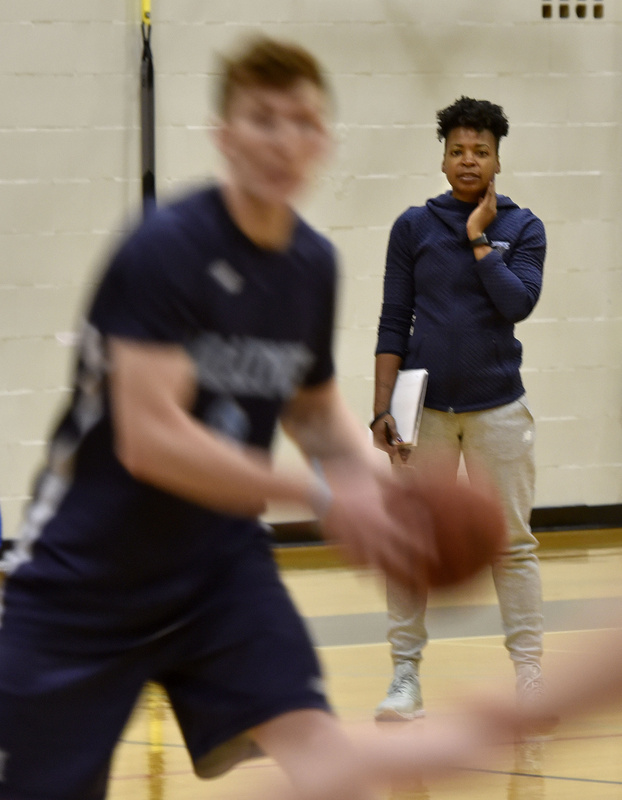 Curry is the only female assistant coach for an NCAA Division I men's basketball team. 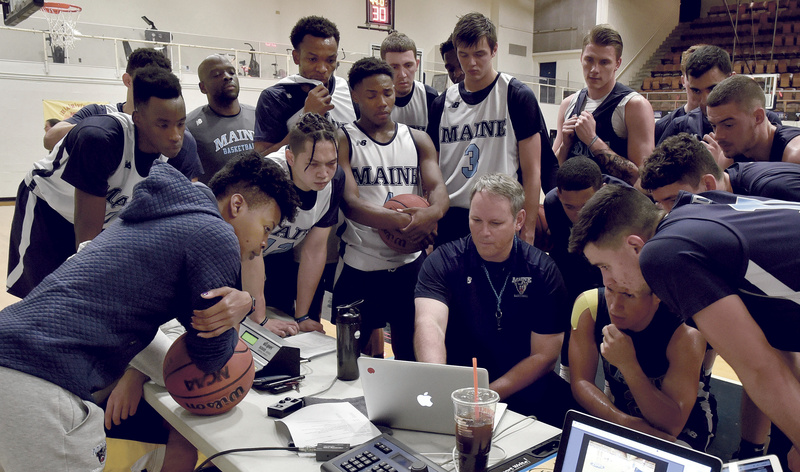 Assistant men's basketball coach Edniesha Curry, left, looks on as head coach Richard Barron, center, goes over video with his team. 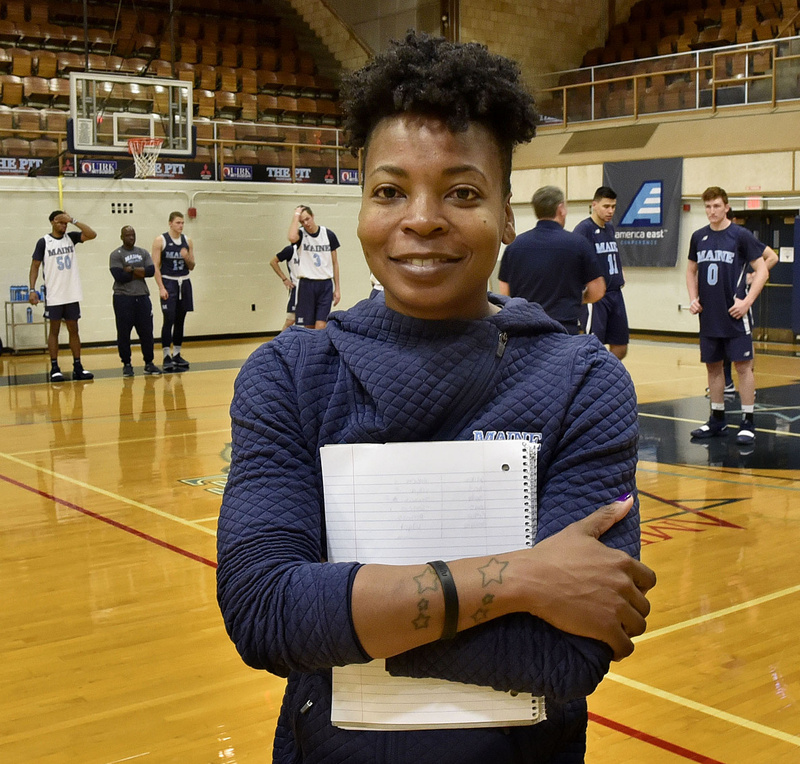 Curry is the only female assistant coach for an NCAA Division I men's basketball team.